In the video on this page, expert and online Osteopath Tim Judd explains the triggers to hips and pelvis pain and problems, how the hip and pelvis functions and the reasons for discomfort and pain in men and women. Then learn about the effective way to get hips and pelvis pain relief. Now that you understand what causes hip and pelvic problems and how to prevent the most common hip and pelvis issues, it is time for targeted stretches to improve the range of motion. Click here for a sample of just one of the 15 Hip and Pelvis Stretches available to you. For immediate hips and pelvis pain relief, tension reduction, or stiffness and fatigue remedies, go here for Essential Hip and Pelvic Exercises or add to cart now. 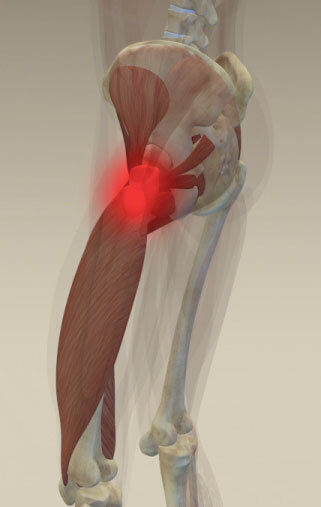 Learn about hip pain and pelvic joint pain relief through medical anatomy and 3D animation. What causes chronic hip and pelvic problems? What are the most common hip and pelvis conditions? What is the pelvic girdle and how do I get pelvic girdle pain relief? What are the paraspinal muscles? How do they affect the functions of my low back, hips and pelvis? What is the relationship between your hips, pelvis and lower back? Why do I get groin pain? What causes hip or pelvic pain during pregnancy? Back pain, pelvic pain and leg pain during pregnancy. What is pubic symphysis (PS)? How do you stretch your hips or pelvis for pain relief and for releasing tension? 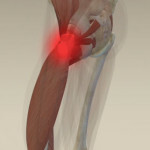 Pain in the groin is common. The muscle usually involved is the Hip Flexor or Psoas. It is attached to the front of each of the lumbar vertebrae. It traverses through the pelvis and exits at the groin attaching to the upper thigh bone or Femur. Tightness in this muscle can cause inflammation at its attachment point creating pain in the groin. Because it traverses the hip joint, any increased tightness in the muscle creates increased compression within the joint. The leg may still move freely but the increased compression will increase wear on the joint. This can cause arthritis in the hip joint. It can also present as groin pain. 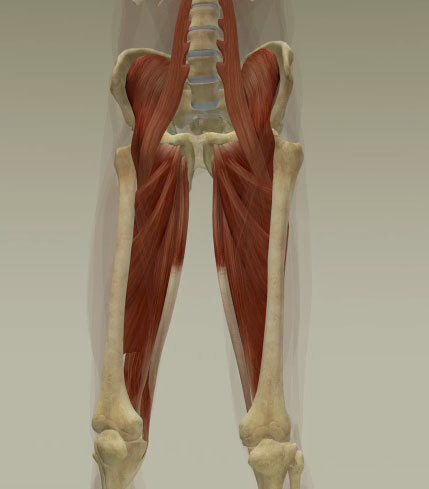 The main muscles in this lateral region that cause grief are called Gluteus Medius and Gluteus Minimus. They are the smaller cousins of the bigger buttock muscle Gluteus Maximus which is looser by nature. These muscles are often tight and the pain pattern is quite typically defined to the lateral hip area. You can really notice it when you press in just above your hip bone and when lying on your side in bed the mattress puts pressure on it. Gluteus Medius and Gluteus Minimus is part of a continuum that goes down the outside of the leg and is called the Iliotibial Band or ITB. It is more of a ligamentous strap which is often painful as a result of tension in the muscles above it and will distribute pain down the outside of the leg into the knee. The stretches for the Gluteus Medius and Gluteus Minimus also work really well on the ITB. A little further around the back of the pelvis we have a muscle called the Piriformis or ‘the double devil’ because not only can it present as considerable muscle pain of its own, but it can also trap the sciatic nerve. When this muscle throws a spasm it is very painful to turn over in bed and getting in and out of low cars can be very difficult. This muscle goes from the hip bone to the front of the sacrum deep under the buttock muscle and traverses the sacroiliac joint where the sacrum joins the pelvis. When this muscle is tight it jams up the sacroiliac joint and you get a pain pattern from your sacrum, across to your hip and down the outside of your leg. If it is really tight, then due to its proximity to the sciatic nerve, it can cause sciatic type pain which goes down the back of the thigh, typically only to the knee but possibly into the calf as well. It’s very noticeable when you press your fingers into your buttocks and it is very sore. Activities like carrying a child on the same hip all the time will increase the likelihood of muscle strain. Tennis and squash can aggravate these muscles as there is a lot of sideways shuffle and also in golf where there is a tendency to come over the leading leg. The right stretches are excellent for releasing the tension in these muscles. Take note and recognize what activities might be creating and perpetuating your particular situation and alter how you do things. Get your body to work with you and not against you. An understanding of good Posture will be of great help too. To read more from Tim’s Blog click here. To check out Tim’s Auckland practice click here. For information about conditions that affect the hips and pelvis click here.